Afghan Hawaiian is a Canadian born Indica-dominant hybrid bred by OrganiGram, Inc. 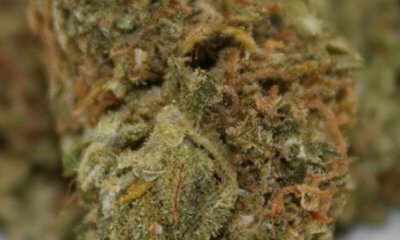 It boasts unique flavors and psychoactive compounds of up to 22% THC. Not only that, it has abundant medical benefits. The strain is a cross between the famous UK Cheese and Lavender strains. Being descendants of the Afghani landrace, both have fruity and floral fragrances as well as impressive calming effects on the body and the mind. For this reason, they were both used to develop the medical strain we now know as Afghan Hawaiian. 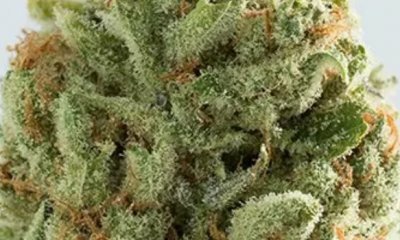 Though developed for the medical market, Afghan Hawaiian has high THC levels that deliver a thrilling mental high. Its potent psychedelic effects are why it has an appeal to many recreational users. With THC levels between 16% and 22%, Afghan Hawaiian induces a pronounced psychedelic high that goes zero to one in only a few tokes. It sends a zing of unmatched enthusiasm and energy that zaps away weariness in no time at all. Later on, a tingling sensation spreads all over the body and ushers in waves of relaxation. This soothing buzz indicates the beginning of the strain’s Indica influence. In most cases, if users stay within the limit, the physical effects are not crippling. In fact, because it helps lessen the tension in the body and calms the mind, some people may find themselves getting aroused. Users of Afghan Hawaiian are also likely to feel hungry. As such, it is best to have some food prepared. A good reason to do that is convenience. Some people do use a bit too much and may find it difficult to stand up preferring instead to sit and chill. Finally, in putting people in a relaxed state, drowsiness sets in and lets one simply doze off. Afghan Hawaiian has the mellow fragrance of sweet cheese; an influence of its parent strain UK Cheese. Breaking up the buds then grinding them exposes the strain’s subtle note of damp earth. Consuming Afghan Hawaiian reveals flavors never once precluded by its fragrance. For one, it has notes of caramel that is both nutty and sweet. Underneath of which is a striking cheesiness that is unique to all Cheese strains. Alongside it is a fruity taste that, once drawn in, is easily distinguished as pineapple. Even medical marijuana can cause adverse effects. For instance, users can expect to experience dry mouth and bloodshot red eyes. And, beginners or someone with a low tolerance may feel a bit dizzy at the height of the psychedelic effects. 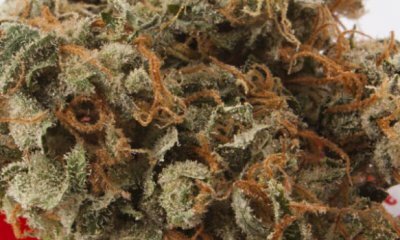 Despite being a mostly Indica strain, Afghan Hawaiian may cause some people to feel anxious or paranoid as these are often associated with Sativa. The CBD content of afghan Hawaiian is not remarkable when compared to highly touted high-CBD hybrids. As such, the medical benefits it provides are mainly consistent with most recreational strains. For one, its energizing high is excellent at enhancing moods. It positively alters depressive spells and even one’s negative perceptions about life. As such, it can be a source of comfort for those struggling with depression or PTSD. In the same manner, the strain can also be used for wiping out stress. As an analgesic, it effectively reduces different kinds of aches and pains. It can also dissipate nausea. Not only that, it entices users to take a deep slumber. In a sense, the au naturel strain may even be better than synthetic sleeping pills. With little to no information on its growth patterns, Afghan Hawaiian is best left in the hands of seasoned growers. Aside from being better predictors of growth patterns, their knowledge helps them address a myriad of problems caused by humidity, pests, heat, and climate. At maturity, Afghan Hawaiian matures produces resinous popcorn-shaped buds. They are dense and neon green in color. Contrasting it are undertones of light gold and trichome coated amber hairs. Indoors, Afghan Hawaiian flowers within 8 to 9 weeks. It yields an average of 15 to 19 ounces of buds per square meter. Afghan Hawaiian’s flowers show up by the second or third week of October. With tender love and care, growers can harvest at least 21 ounces of beautiful buds per plant grown. Have you ever smoked or grown your own Afghan Hawaiian? Please let me know what you think about this marijuana strain in the comments below. The post Afghan Hawaiian appeared first on I Love Growing Marijuana.